Learn more about EFSC's role in this national effort to fight violence and how you can take part. Ready to explore Eastern Florida? 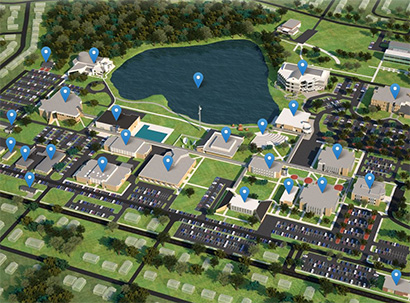 Get a sneak peek of the Cocoa Campus with our new virtual video tour and interactive map. Click to get started today! 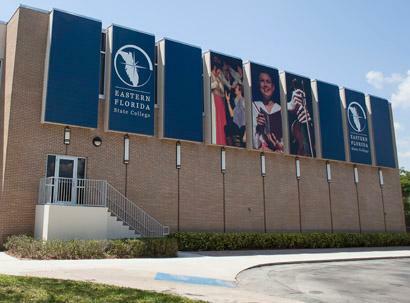 Student musicians in EFSC's Performing Arts programs frequently entertain the public at the Bernard Simpkins Fine Arts Center, located on the Cocoa Campus. Plus check out the student photo gallery in the Lobby. Admissions, Advising, Financial Aid, the Cashier's Office and more are housed in Ralph M. Williams Student Center on the Cocoa Campus. Cocoa students enjoy diverse activities in the Quad. Campus clubs include the African American Student Union, Creative Writing, Rotaract and Welding groups. The EFSC/UCF Joint-Use Library by Clearlake is a 121,000 square- foot learning hub for students, featuring open stacks, conference rooms and exhibit space. 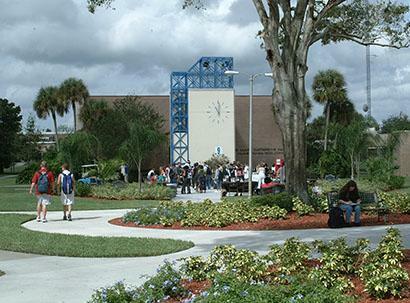 Cocoa Campus is the oldest and largest of Eastern Florida's four campuses. 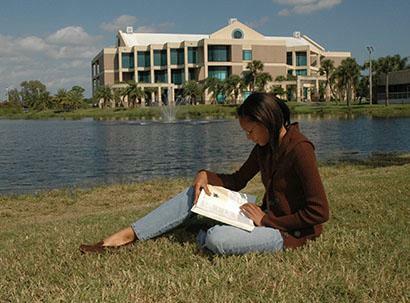 Well-known for its innovative ideas in providing unique services and opportunities for students, the Cocoa campus is the central location for EFSC's Registrar's Office, the repository of academic records for all of our students. 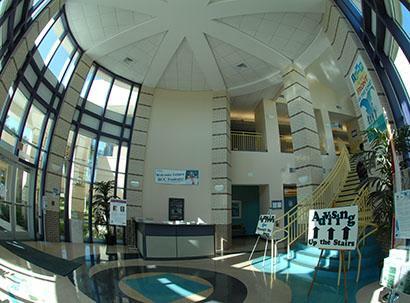 The Cocoa Campus also boasts two joint-use facilities with the University of Central Florida — the EFSC/UCF Joint Use Library (Building 12) and the Clark Maxwell, Jr. Lifelong Learning Center (Building 3). Our Campus is also home to UCF's Florida Solar Energy Center. Also in Cocoa, a STEM building designed to house classrooms, labs and workforce facilities targeting the subjects of science, technology, engineering and mathematics. The Cocoa Campus features the Bernard Simpkins Fine Arts Center, home to the College's choral and instrumental music programs plus the theatre program. The Simpkins stage also includes numerous community events. Along the shores of Clear Lake, the Gen. George F. Schlatter Veterans Memorial Amphitheater features the Wall of Honor that memorializes members of the armed forces who have died in service to their country. A chamber music composition by Chan Ji Kim, is included on a Society of Composers, Inc. compilation CD. One reviewer called it, "one of the highlights of this collection." Dr. Kim teaches composition and music theory at Eastern Florida.